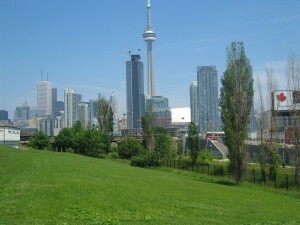 The Toronto Real Estate Board reported 1,506 sales through the TorontoMLS® system during the first two weeks of January 2012. This result represented a six per cent increase compared to the first 14 days of January 2011. New listings were also up on a year-over-year basis, but by a lesser 3.7 per cent. “The market didn’t miss a beat after the holiday season, with robust sales growth continuing and sellers’ market conditions remaining in place. Strong competition between buyers continued to push the average selling price higher in the Greater Toronto Area relative to a year ago,” said Toronto Real Estate Board (TREB) President Richard Silver. The average selling price during the first two weeks of 2012 was $444,473 – up by more than 8.5 per cent compared to the same period in 2011. “Prices were up for most major home categories in the GTA in comparison to last year. The strongest price growth was for single-detached homes in the City of Toronto. The average price of singles in the 416 area code was up by 22 per cent year-over-year, pointing to a greater weighting of higher end detached homes changing hands compared to the same time last year,” said Jason Mercer, TREB’s Senior Manager of Market Analysis. >>Click here for the full news release.